James Hardiman Library will be open 08.30 - 22:00. There will be no staffed service. Reading Room will be open 07.00 - 02.30. To mark the 10th anniversary of the passing of John McGahern, The James Hardiman Library in association with the MA in Writing and the Moore Institute at NUI Galway are delighted to present a public lecture by the renowned John McGahern scholar, Denis Sampson. 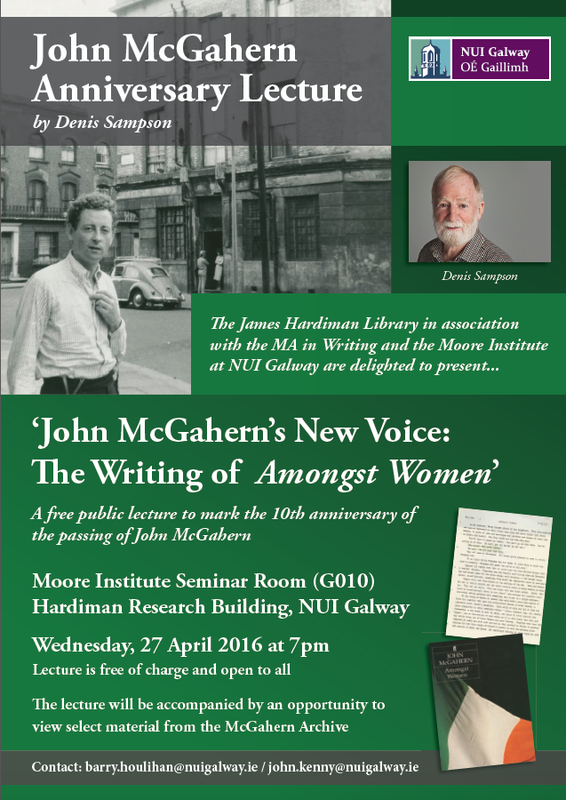 The lecture, 'John McGahern's New Voice: The Writing of Amongst Women' will take place on Wednesday, 27 April at 7pm in the Hardiman Research Building, NUI Galway. 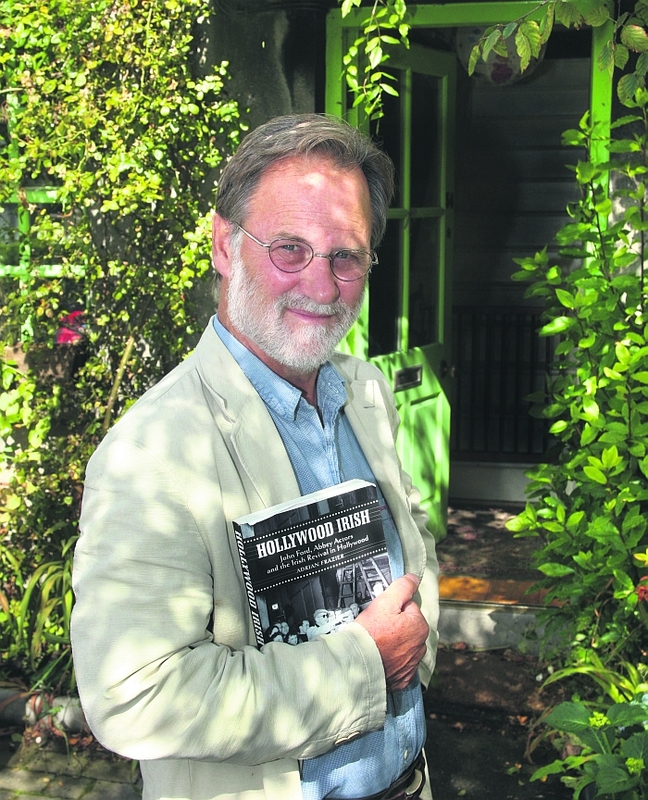 Sampson produced the first full-length study of McGahern’s works, Outstaring Nature’s Eye, in 1993, and his enduring critical attention to the writer culminated in his bookYoung John McGahern: Becoming a Novelist, published by Oxford University Press in 2012. 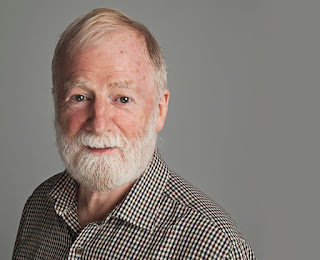 Sampson has lectured and published widely on modern Irish writing, and he has also published a memoir, A Migrant Heart (2014). His new book from Oxford, The Found Voice: Writers' Beginnings, will be out next month. The 30th of March this year was the 10th anniversary of the death of the celebrated Irish writer, John McGahern. McGahern’s work, from the 1960s up to his passing in 2006, has enthralled readers with his artistry and has engaged a succession of generations with his range of themes emanating from modern Irish history, culture and society. His reputation is as strong abroad as at home, and he is widely regarded as a master of the novel and short-story forms. 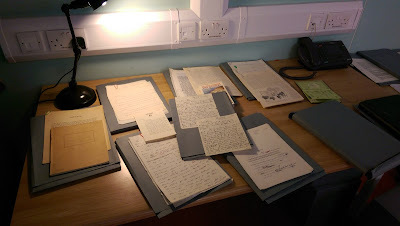 The rich John McGahern Archive at the Hardiman Library, NUI Galway preserves the documentary evidence of 'the writer at work'. In his lecture, Denis Sampson mines the Archive to trace the drafting and evolution of McGahern's 1990 novel, Amongst Women, and he reveals the ‘reinvention’ of McGahern as a writer through his writing of this major novel. In McGahern's papers, the characteristic personal traces of the writer can be found in voluminous manuscript copybooks and loose pages. The ideas that inform each work become clearer through these papers, and his artistic process is made clear in the exhaustive level of revision and redrafting he brought to his emergent novels and stories. Looking forward to Sampson’s lecture, Dr John Kenny, John McGahern Lecturer in Creative Writing and Director of the MA in Writing, NUI Galway observed: ‘The nature of John McGahern’s Archive here at NUI Galway ideally suits it to different kinds of exploratory readers. Scholars of McGahern, or of contemporary Irish fiction and writing, naturally find it a highly valuable resource, but the papers also hold great promise for any student or devotee of writing intent on emulating the best models for creative practice and artistic dedication’. John Cox, University Librarian, NUI Galway comments: "We treasure the John McGahern archive as an enabler of new research and are greatly looking forward to Denis Sampson's lecture as a very appropriate way of marking the tenth anniversary of John's passing." In his lecture, Sampson will discuss unpublished drafts of Amongst Women from within the McGahern Archive and will reveal the links between the novel and some of the earlier McGahern short stories in his collections Getting Throughand High Ground. The lecture will be accompanied by an exhibition of select material from the McGahern Archive and is free of charge and open to all. 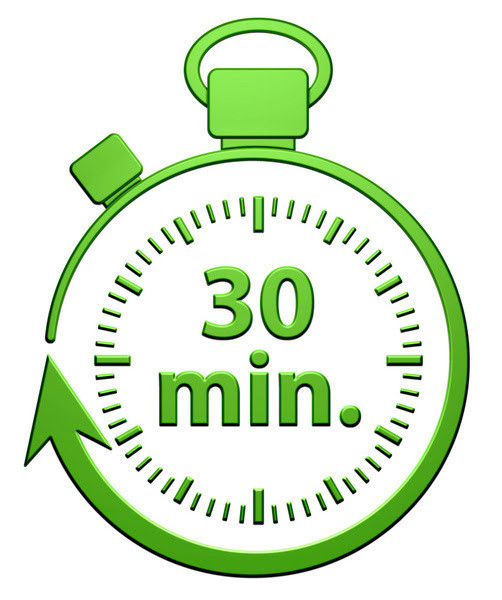 In the run up to the second semester exams and in the interest of meeting the needs of all library users, we would like to remind you that the 30 Minute Rule is in operation. If you wish to reserve your study place, you must leave a note indicating the time you left and you may not remain away for more than 30 minutes. Desks unoccupied for 30+ minutes may be cleared by Library Staff. Please co-operate – it is for every one’s benefit! Unfortunately our High Use Books Machine located in the foyer of the library is out of order. While we wait for it to be repaired we have removed all the books that were in it and they are now available from the Library & IT Service Desk. So, if you see High Use Books Machine listed as the location for a book you need then call to the Library & IT Service Desk where you can borrow it for 3 hours library use only. A native of St Louis, Missouri, Professor Adrian Frazier (NUI Galway) pursued his fascination with Irish literature and theatre to the west of Ireland, and now lives in Galway. He is the author of Behind the Scenes: Yeats, Horniman, and the Struggle for the Abbey Theatre (Berkeley: University of California 1990), an acclaimed biography of the Irish novelist and memoirist George Moore and his cultural milieu, George Moore, 1852-1933(New Haven: Yale UP 2000) and Hollywood Irish: John Ford, Abbey Actors, and the Irish Revival in Hollywoood (Dublin: Lilliput Press 2011). His most recent book is an illustrated pen portrait of artist and sculptor John Behan entitled John Behan: The Bull from Sherriff Street (Lilliput Press 2015). His new book is a joint biography of W.B.Yeats, Maud Gonne, and her lover the French political activist Lucien Millevoye, recasting completely our view of the personalities and politics of this incendiary love triangle. Last week the first lecture in the weekly series was delivered by exhibition curator, Dr. Adrian Paterson of the School of English, NUI Galway. The audience were brought on a journey through the world of Yeats' Innisfree and what that place meant to the young Yeats as well as how it stayed as a place of refuge and inspiration for Yeats throughout his life. The 'Yeats and the West' exhibition joins the Model Gallery, Sligo following its initial run at the Hardiman Building of NUI Galway. The exhibition was officially launched in Sligo by Professor Jim Browne, President of NUI Galway. Speakers on the evening of the launch also included Donal Tinney, Chair of the Board of the Model Gallery, Adrian Paterson, NUIG and Senator Susan O'Keefe, Chair of the Yeats150 programme. 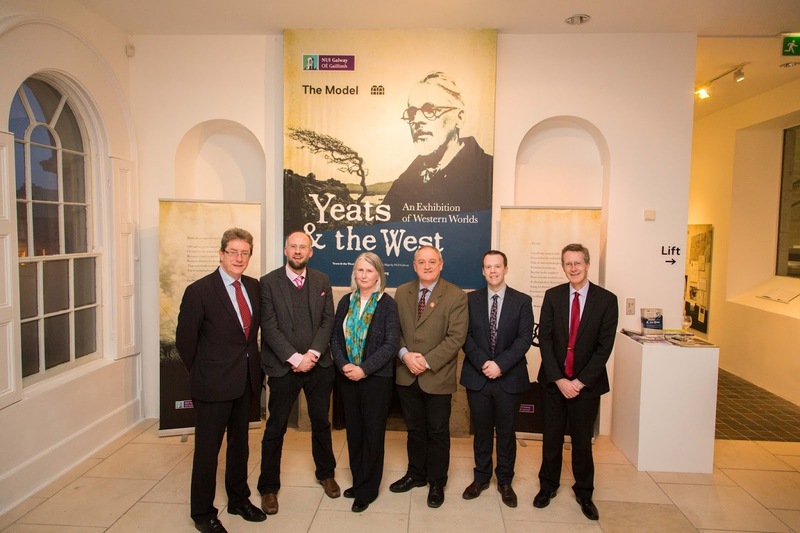 Prof. Jim Browne, Dr. Adrian Paterson, Susan O'Keefe, Donal Tinney, Barry Houlihan, John Cox, pictured at the launch of Yeats and the West exhibition at the Model Gallery, Sligo. WoS Maintenance – Sunday, April 10 - Web of Science, InCites, ResearcherID and EndNote Online. Please be advised that Thomson Reuters will be performing systems maintenance on Sunday, April 10. The maintenance window is 13:00 to 16:00. There may be intermittent outages to Web of Science™, InCites™, ResearcherID, or EndNote® Online throughout this time and it is expected that there will be two instances of downtime, each 15 minutes in length. Thomson Reuters apologise to users for any disruption and inconvenience that may be due as a result of the required maintenance work. The Library will officially open the Maker Space on Monday 11 April 2016. The Maker Space will be launched by Dr. Pat Morgan, Vice-President for the Student Experience, NUI Galway at 13:00 in the James Hardiman Library foyer (that's inside the security gates). Light food and refreshments are provided. From 13:30-16:00 the Maker Space will be open to all to view and use the equipment (3d printing, Maker PCs, Raspberry Pis, and Arduinos). Staff will be on hand to demonstrate the hardware and software while answering any questions you may have. RSVP: by Thursday 7 April 2016 by using the eventbrite page or contact Ann Cullinane. E: Ann.Cullinane@nuigalway.ie, T: 091 492540. The Maker Space is a space for engaged teaching and learning. It's an area where students can create, collaborate, share, explore, innovate, and gain new knowledge in groups or individually. Users of the Maker Space have access to 3D printing, animation and modelling software, Arduino boards and Raspberry Pi hardware. For more information visit the Maker Space page.